Check out the latest Where In The World Are We classmate adventure! We have a new feature on the class website. Where in the World Are We? This will feature travel tales written by classmates themselves along with photos of their travel experiences. We hope everyone will eventually submit at least one travel story with pictures. You are welcome to submit more than one. Over time, we may go around the world! The first story is mine. If you follow my blog, you may have seen it before but it’s worth a repeat here. Have you ever taken the tour on the Black River at Lorain? It is a very interesting, educational tour and a fun boat ride. Just click on the “Where In The World Are We” link in the left menu to start reading. Please submit your travel adventures and photos and recipes to Ellen: umpquariver@isp.com and she will get them posted. If you wish any assistance with writing or editing, let Ellen know. We can’t wait to see where you’ve been and read about your time wherever in the world it is. And we are really looking forward to your recipes! We have a fav! They are all winners but this little one got the most votes. 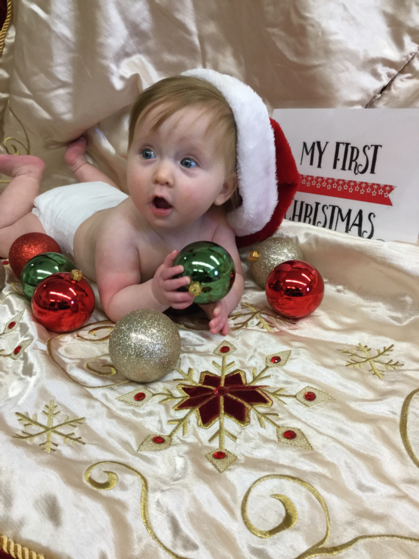 This is Addy, Shirley and Mike Kelley's granddaughter. Addy joined the family last summer. I've seen her and she is totally adorable! Congrats and much class prestige to Mike and family! HAPPY NEW YEAR FROM THE ARIZONA SONORAN DESERT!! Shooters On The Water was awesome. The food was great, as was the company. We watched a 1,000 ft Lake Erie Freighter being pulled out to the lake by the Tugboat, Oooooed and Awwwwed at the sunset reflections on the downtown buildings, watched the blimp and enjoyed the nighttime lighting on the Terminal Tower. It was a spectacular ending to a spectacular day. There's a brand new Cleveland Sign downtown. It's been up just 2 weeks. It was the first stop on the Eliot Ness Tour. Watch for more photos soon. 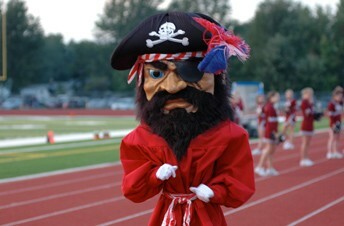 AARRRGG......Attention all you RRHS63 Pirates!!! New Major Mini Photos - August 11, 2017 at Panini's. This is a slide show, so wait a few seconds for them to change. Over 73,000 hits - and counting - on this little Web site. Only one hit PER DAY per person is tallied, so we are getting a lot of traffic, a lot of email, and more participation than you know. It all started in July 2009, so we are averaging over 900 hits a month since it all began!! In the last year, over 1,700 emails have been exchanged between our classmates. WHO ISN'T HERE TO JOIN US. 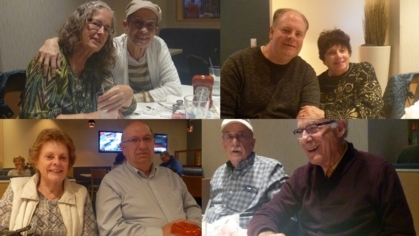 If each of us does his or her part to contact any of our non-participating or missing members, it would really help to add interest, variety, and excitement to rockyriver63.com. The real success of this Web site is the communication and catching up with our classmates that has begun and continues because we're all out here. 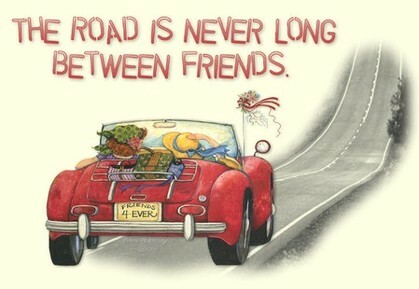 That will be multiplied each time we add a new member who can be in touch with former classmates and new friends. Can you help? - Please? have been added to the Menu Bar. Turn your speakers on and take some time to look back at our history! LIVE CHAT IS NOW IN PLACE, and improvements are on the way. For now, the best way classmates can use it is to set up an "appointment" to have a chat - any two or more alumni - until Instant Messaging is working. Try it with one or more of your friends! Please take a look at the free-for-all known as "Message Forum" and use this opportunity to speak your mind about ANYTHING. please register and fill out your profile! The free-form "Message Forum" is is a free-for-all. Rather than a threaded, topical organization, it is just a continuous bulletin board and open-ended chat. Feel free to add your own topics, thoughts, opinions and ideas. Try it out, and let's talk to one another! If you know of alumni who haven't signed in, please tell your friends about this site and ask them to visit, register and update their profiles. First-time visitors, please register and tell us about yourself! Just click the "Classmate Profiles" link on the right and click your name to get started. 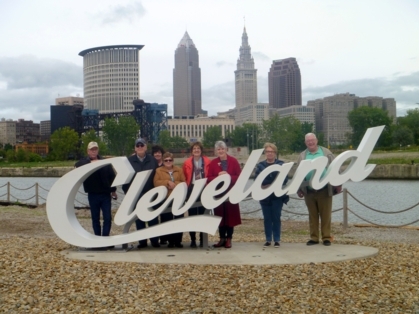 Note: This site is for childhood friends, attendees, and graduates of Rocky River High School, Class of 1963. It is completely FREE to our alumni and is privacy protected. And, there will NEVER be advertising on this site. Just log in and update your profile! Why not add your photos and stories? It really brings the history of our class to life. The more participation we get to represent the members of the RRHS Class of '63 the more classmates we will have join us. 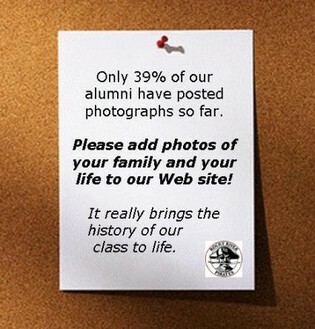 Even if you haven't attended a reunion, nor kept in touch at all since graduation, please take the time to update your profile and upload your photos. Your submissions will make this site more fun, more interesting and complete. What better way to connect with an old friend? Just open up the classmate's profile you're looking for, write your message at the bottom of the profile, and click the "Send email" link. We hear a lot of emails are being exchanged! You'll see - your classmates would love to hear from you! "Message Center" makes class emailing easier! Now you can write and send new messages directly from the "Message Center" page, instead of having to go to the '63 Alumni Profiles. Moreover, your messages, both sent and received, are saved for reference. And each dialogue is saved in a history, or "thread". In time you will likely have many threads, which are all accessible through a page indexing legend at the top of the Messages page. This will allow you to click to go to previous pages of threads.You can toggle between "inbox" and "outbox", and even sort your messages. If you don't want to save older threads, just click on the red 'X' at the right to delete them. If you are sure you won't need to refer to older messages, delete several threads at once by checking the box at the left, and then clicking on the "Delete selected threads" button at the bottom. or make a new one! Please stay in touch! Rocky River High School Class of 1963? 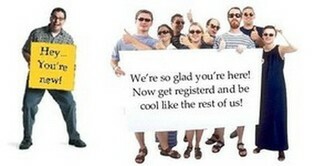 Why haven' t you registered yet? Another "missing" classmate has contacted RockyRiver63.com! 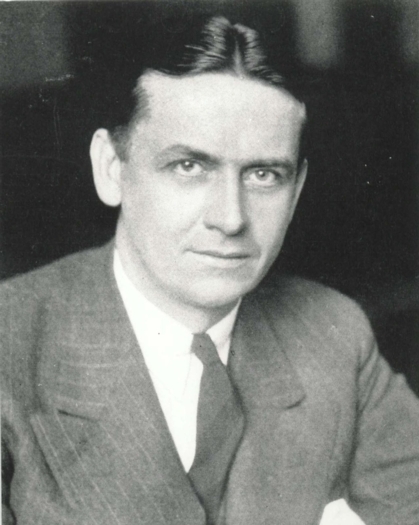 John Maier hasregistered on the Web site! There are 142of us registered, and 27 missing. Sadly, we know of at least 28 who have passed away. That leaves about 29 who have not logged in! Just click the Pirate to get started! Just register once using the "'63 Alumni Profiles" link, enter your email address and your choice of password, and update your profile. Don't forget to upload your photos - they really add a lot of interest! 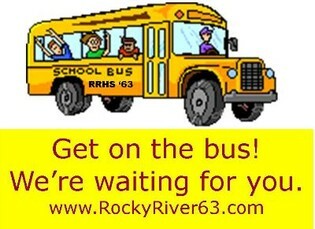 We are doing great: 142 classmates have registered on RockyRiver63.com! A very big thank you to all of us who are here. who are not here to join the Web site. Please take time to look over the Missing Classmates link - and the In Memory page - and give us any information that will help us to find - or acknowledge the loss- of our class members. Thanks!